Yes indeed! This says so much and it is so very funny, too! P.S. 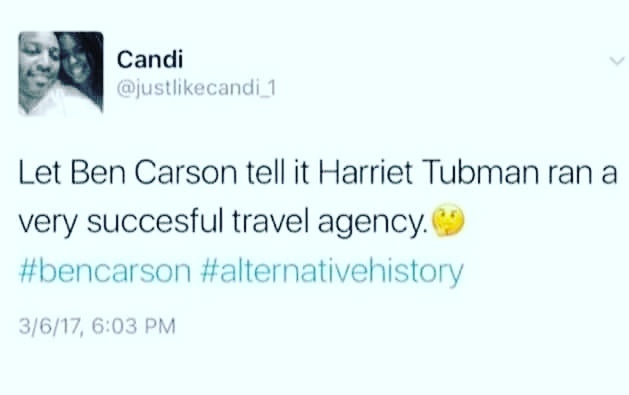 : The Harriet Tubman Museum just opened.
. Yes I know! That’s why I thought it was funny that she would be referenced in a humorous manner on Twitter. The picture with her leading the slaves. Is one that I did. The actual tweet though it’s from another woman who posted it on Twitter. Did you also know that the museum is trying to purchase the recently discovered younger aged photo of her?